Simon Porte Jacquemus grew up in the countryside in Provence. He comes from a family of farmers and when he was a kid, he was fascinated by his dungarees which looked like a uniform. 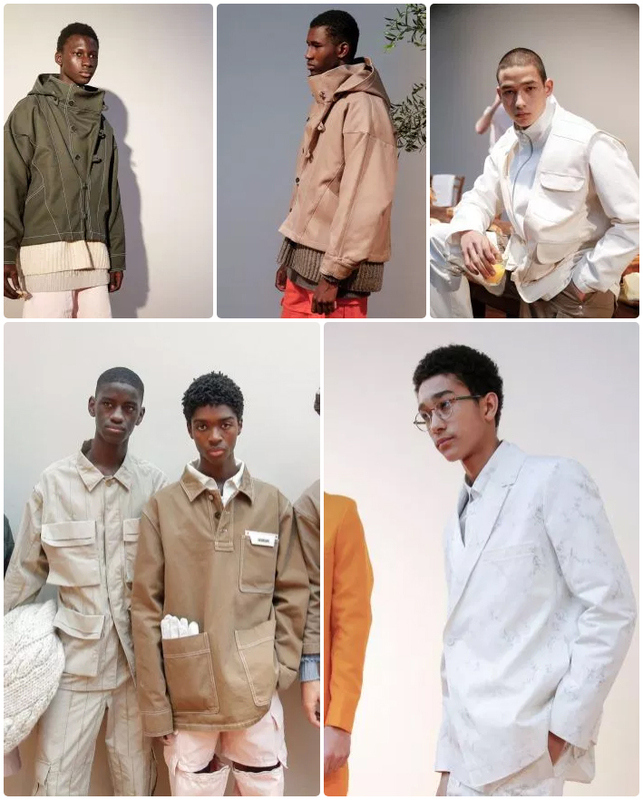 The Autumn Winter 2020 collection named “Le Meunier” or “The Miller” is a homage to workers and based on French workwear. The models wear an updated version of the workwear jacket, including marine jackets, and a black style with a polo collar and a leather logo card tucked into one of its patch pockets. One sported caramel leather chaps, with the theme lending more sustenance to the fledgling men’s line, as well as another chapter in the storytelling. The accessories included cross-body leather pouches, leather neckerchiefs, and sneakers and boots with vulcanized rubber edging. This entry was posted in BREAKING MODE, BREAKING NEWS, PARIS FASHION WEEK 2019, pfw by admin. Bookmark the permalink.